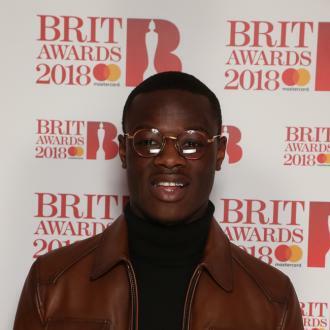 J Hus is focusing on finishing his new album after being released on bail following his arrest for carrying of a knife last month. J Hus is knuckling down making his album following his arrest for carrying a knife. The 'Bouff Daddy' hitmaker has broken his silence after it was announced he is being replaced at Wireless Festival on Saturday (07.07.18), and following the news that he was granted bail yesterday (03.07.18), and reassured fans that his follow-up to his Mercury-nominated debut LP 'Common Sense' is his top priority now. Thanking his fans and team for their support, he wrote on Twitter: ''Been seeing a lot of support from fans, artists and family. I appreciate everything, Trust me. Shoutout my team for the work behind the scenes. Also sorry for the cancelled live dates I've missed out on. The slot at the music event at London's Finsbury Park, north London, has now been taken by rap duo Krept & Konan. Wireless announced on their Twitter page: ''We are pleased to announce that @KreptandKonan, @officialAvelino, @OfficialChip @DBlockEurope and @ambushbuzzworl are joining the #WirelessFest line up! The 23-year-old grime star - whose real name is Momodou Jallow - was detained by police and charged with carrying a dangerous weapon on the afternoon of June 21, after they stopped and searched the car he was travelling in, and found him in possession of a knife or a bladed article. Hus was also scheduled to perform at Glasgow's TRNSMT on June 30, but was forced to pull out.